Item # 317117 Stash Points: 7,995 (?) This is the number of points you get in The Zumiez Stash for purchasing this item. Stash points are redeemable for exclusive rewards only available to Zumiez Stash members. To redeem your points check out the rewards catalog on thestash.zumiez.com. 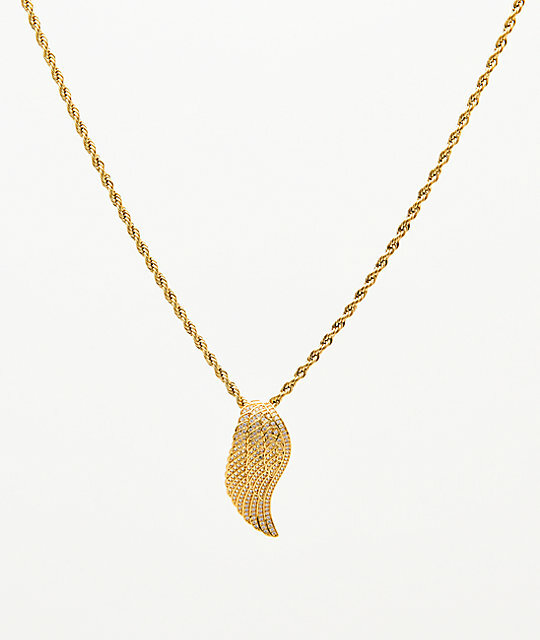 Get a heavenly new look with The Gold Gods Angel Wing 20" Gold Rope Chain Necklace. A large wing pendant hangs from a classic rope style chain for a classic look, while CZ stone inlay throughout the wing adds some serious style points. PVD gold plated throughout its entirety for an over-all striking look, this necklace is certainly a must-have. 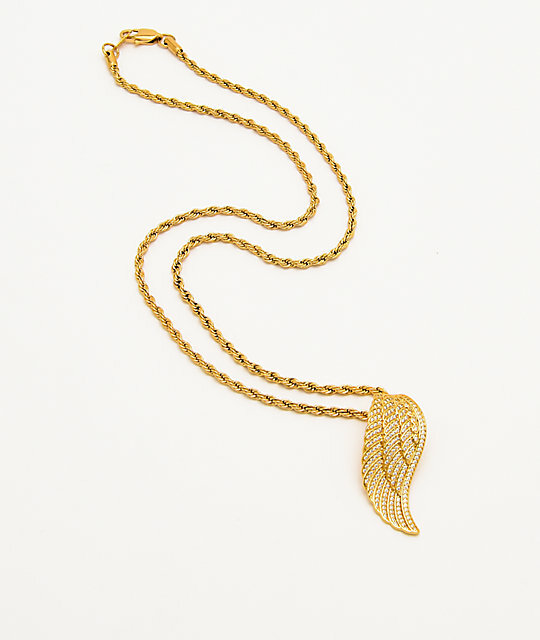 Angel Wing 20" Gold Rope Chain Necklace by The Gold Gods. Engraved and gold PVD plated pendant in the shape of an angel wing with CZ inlay throughout. Mary pendant: 1.5" x .5" (3.8cm x 1.25cm).